Chris Vellozzi, owner of Castle Wine & Spirits, stands in his store at 1439 Post Road East in Westport on Friday, Jan. 20, 2012. In this year's General Assembly session, Gov. Dannel Malloy plans to introduce legislation to reform the state's liquor laws that, among other changes, would allow the sale of alcohol on Sundays -- a proposal that many local liquor merchants are not toasting. "I don't think people are going to necessarily drink more because they buy it at different times," said Chris Vellozzi, owner of Castle Wine & Spirits on Post Road East in Westport. "I think they're going to buy what they need and just spread it out over seven days instead of six. Our overhead is going to go up, and I think it's just going to end up costing us money." Len Gordon, owner of the Tunxis Hill Package Store on Tunxis Hill Road in Fairfield, agreed. "As a small business owner, it wouldn't work for me, because I'm the guy that's going to have to spend the extra hours in the store," he said. "I can't afford to pay somebody to work all the other times, so I'm the one who's going to have to do it." Opposition from package store owners could set the stage for a difficult legislative path for a proposal that Malloy has proposed as a critical measure to maintain Connecticut's economic competitiveness with neighboring states like Massachusetts. Sunday liquor sales could generate between $6.4 million and $11.2 million in additional state revenues, according to "industry estimates" cited in a statement released Jan. 14 by the governor's office. Connecticut is one of two states in the nation -- the other is Indiana -- that still ban stores from selling liquor on Sundays, a prohibition that Malloy has described as anachronistic. "Our statutes have collected dust, and it has resulted in consumers shopping in bordering states, causing Connecticut retailers to lose $570 million in sales each year to surrounding states by some industry estimates," Malloy said in his Jan. 14 statement. "This proposal is pro-consumer, pro-`mom and pop' and pro-dollars being spent within Connecticut." Several local liquor store owners, however, said prospective changes such as allowing distributors to offer quantity discounts to retailers and eliminating a ban on selling at a price below cost would hamper smaller outlets. "With these new laws -- if they go into effect -- we're going to have buy in quantity in order to get discounts on the items," Vellozzi said. "But a small store that doesn't really have the storage or the capital to do so, they're not going to be able to, whereas the bigger stores can." 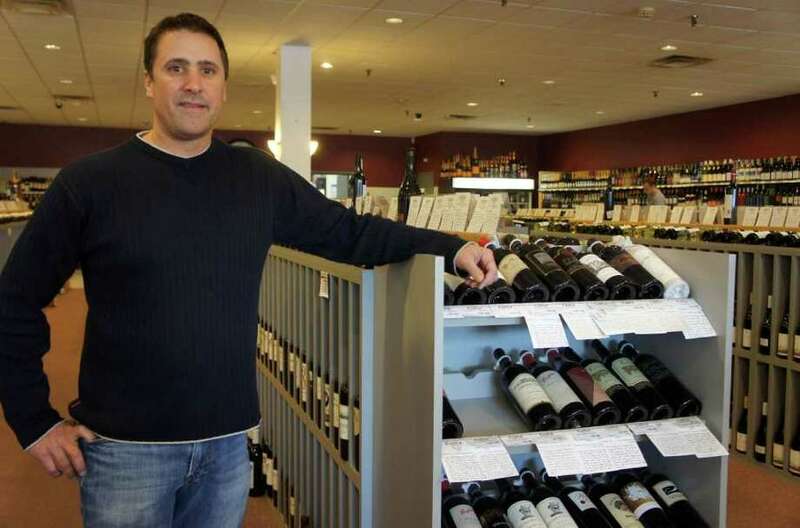 Jason Hackney, owner of Super Discount Wines & Spirits on Tunxis Hill Cutoff in Fairfield, said he is concerned that if Malloy's plan were approved by the General Assembly, more regulatory changes favorable to larger retailers would follow. "This then leads to, `Well, if everybody else is open for seven days a week, why don't we have wine in grocery stores?' " he said. "And, all of a sudden, you open up the floodgates to all these other possible changes." Malloy's proposed legislation would allow grocery stores with beer-only permits to open their own package stores in separate retail spaces, but it would maintain a ban on the sale of wine in supermarkets. The prospective liquor law changes would also allow liquor stores to sell items "complementary" to alcohol, such as cheese, crackers, chips and nuts. Gordon said Malloy's proposal should offer more retail flexibility for package store owners to offset the new provisions that would favor grocery stores. "It just seems only fair that if they [grocery stores] are going to take a good part of our business, why can't we be able to sell the stuff that they sell as well, not just certain things that someone says are complementary," he said. Other store owners expressed doubt about the economic effectiveness of Malloy's proposed liquor law revisions in the wake of the increase last year in the state sales tax rate from 6 percent to 6.35 percent. "If he's so concerned about people going over the [state] line, why did he raise all these taxes? What are you accomplishing here?" asked Carmai Rydecki, owner of Saugatuck Wine & Spirits in Bridge Square in Westport. "When people go up north to New Hampshire, they stop at the liquor stores there because their tax is so much cheaper than ours." While he said he understands local business owners' criticism of the possible liquor law changes, state Rep. Jonathan Steinberg, D-Westport, said he supports Malloy's plan. "I've never been a real big fan of Connecticut's blue laws," he said. "It doesn't reflect a world in which you can pretty much get anything 24-7. I think we've moved into another generation." Local police, meanwhile, so far have a neutral stance on the prospective changes. "We won't know until things change to see if they [the new laws] have any effect on the community," said Fairfield police Sgt. Sue Lussier. The Westport Police Department is not taking a position on Malloy's proposal, said Capt. Sam Arciola. "We will enforce and follow any of the new laws if they are accepted by the General Assembly," he said. Despite their opposition, several local liquor store owners said they would, nonetheless, open on Sundays if the General Assembly approves Malloy's plan. "You have to be competitive," Hackney added. "If your competition is opening, you have to be open."